PURE POWER PACK ACTION... Experience the pure flick-kick power action of your favorite Soccer game in 3D! 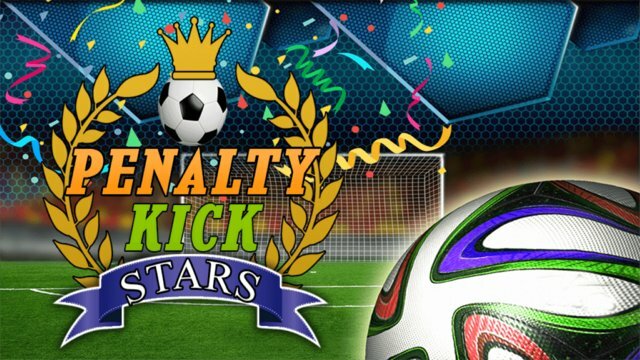 Do you have what it takes to be the best Penalty Kicks Stars player? 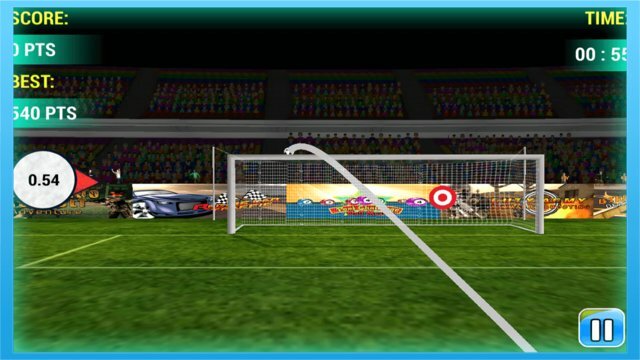 Shoot the ball to Goalpost from all over the pitch with the flick of your finger! The most intense free kicks soccer game to practice your flick-kick skills. Keep on making successful goals within 2 minutes. Each successful shot in the goal will give you 10 Scores. By hitting Clock will give you extra 10 seconds in total time. There are bonus scores for hitting fix targets. There will be a yellow target bar in bottom which will increase and decrease according to goals & misses. Each successful target hits will give you extra bonus scores. The game start with 100% target Bar and will start to decrease. Play successful shots to target in the Goalpost to increase scores. Hitting fixed may give you extra bonus scores.